To view Pete’s pedigree click here. Optional list of any additional health or genetic related testing : Pennhip scores 0.29 and .23, CCA test pending. Pete has had three litters and no health problems have been noted by the puppy owners. Positive qualities this dog brings to a breeding: Calm companion in the house, Lots of desire in the field. Cautious around birds, points them from a long way off. Lots of range while hunting, often out between 400 and 500 yards with some casts out to 800+ yards. Lots of style to spare. 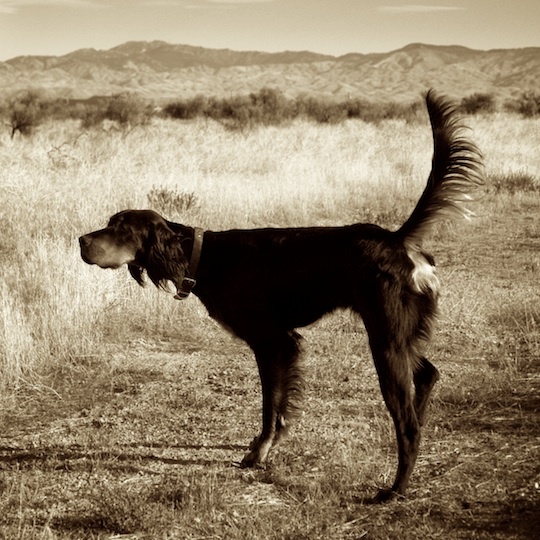 Throws puppies that are excellent Ruffed grouse dogs. To send an email to Pete’s owner use the form fields below and then click submit.